The celebration of Gawai Dayak is indeed well mentioned to many intending to visit Kuching, or Sarawak in general. The event which has been mentioned by About.com and numerous other travel sites is well celebrated by the Dayak tribe in which does the celebration to mark their thanks to the Gods over a bountiful harvest. For those into gambling, one can expect to be extra delighted during Gawai as it is quite well accepted to gamble during Gawai. Despite the presence of more traditional gambling games, well known gambling games such as the ones you find on online casinos, can also be found include games such as black jack, joker, holo and so many more. The only difference of gambling during Gawai is that you do not get casino online promotions available like when you visit Bodog Malaysia, but rather get the raw ‘gambling’ experience ‘kampung’ style. 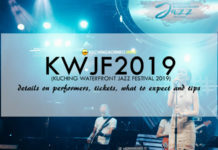 During this celebration, one can expect culture to come alive in many parts of Kuching, with drinking sessions, which involve a local delicacy known as ‘Tuak’ also well served to visiting friends and relatives. The ‘tuak’, or more internationally known as ‘rice wine’ would be best taken in small quantities as it is known to give its drinkers quite a hangover if consumed in large quantities. Gawai is also well noted as the best time to experience the best of Sarawak local cuisine. Despite that, it is considered a norm for Dayak families to parade more meat dishes if compared to vegetables, as many feel that having meat on the table signifies something special. Most of the time, dished are very ‘pork-based’ with pansuh, lemang and curry making the list of favourite dishes. 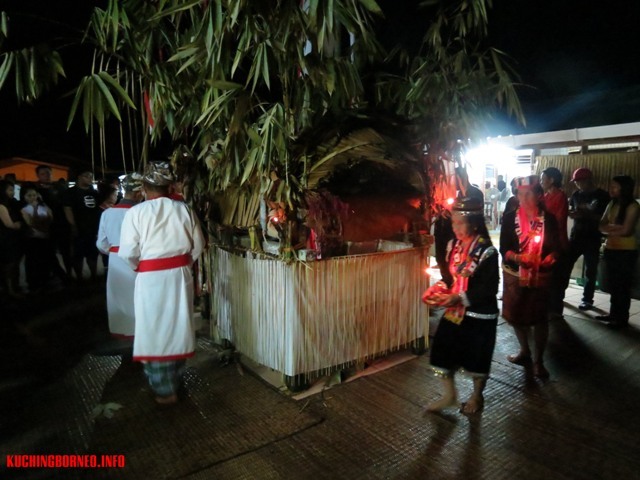 For those into culture, Gawai presents something more unique as a handful of villages showcase special cultural events which involve Pagan beliefs are celebrated. In Bau, one can locate a few villagers which still showcase the dying tradition of ‘Nguguoh’, while most other villagers organize beauty queen competitions which are called ‘Kumang Gawai’. But that is not all because Gawai is also meant to bring back relatives whom have been away for quite sometime with many opting to travel home to the interiors to join their love ones for Gawai. Visiting is most welcomed during Gawai with some houses staying open until the wee hours of the night to cater for their massive number of visiting friends. In modern days however, Gawai has seen dramatic changes with less cultural roots implemented in the celebration. Local band concerts replace ancient tradition, with Christian Dayaks keeping the whole celebration in less spectacle than their previous ancestors. Nonetheless, the feel of Gawai remains till today with many Sarawakians, particularly the Dayaks loving the fact that they would be having a long break from work.